2013 was an amazing year. I don’t know if any other year will every compare, considering it was a year of great change. I lived in three different cities, visited 11 cities in nine countries, graduated from my MBA program, found a job that I love and relocated to Shanghai. I fully recognize that I probably will never travel that much in my life ever again. I definitely cherish every single moment of 2013. 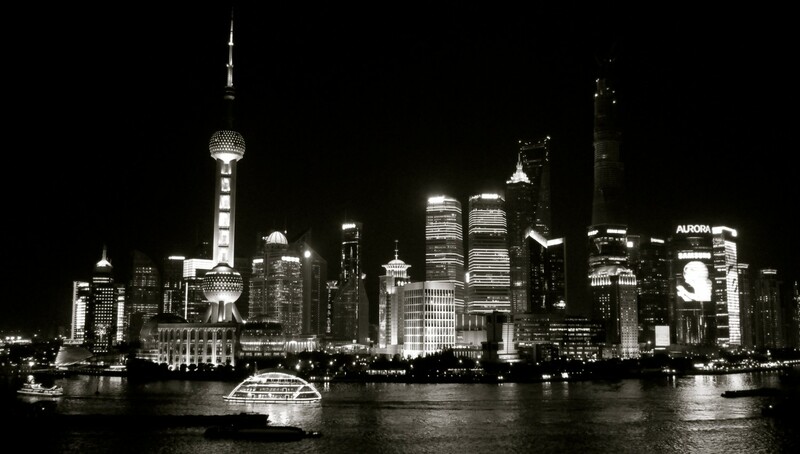 However, I’m excited for what 2014 will bring and for new Shanghai adventures. It’s too difficult to rank my favorite moments of 2013, but I did want to capture 10 of my favorites (brought to you by the lens of my iPhone 4 and Instagram). I had just moved out of the suburbs of France and into Paris. After having a lovely brunch on a cold, snowy day, the Métro broke down and I had to walk home. What started out as a inconvenience, turned into an absolutely stunning walk and I got to capture this gorgeous shot of Invalides (which never would have happened if the Métro worked!). It was my first trip to the Middle East and Dubai was such an eye-opening experience. I learned so much about the local culture and was also just stunned with the entire city. Everything was so opulent and it was more than I could have ever imagined. The Burj Khalifa is currently the tallest building in the world and I loved the way it was lit up at night with its own sparkling lights like the Eiffel Tower. I felt like I was on the set of Downton Abbey while wondering the vast halls and gardens during my Loire Valley Châteaux tour. It made me feel like a Pretty, Pretty Princess. The Loire Valley is definitely worth visiting and I personally enjoy it a lot more than visiting the palace in Versailles. Who doesn’t love a giant, 6-story inflatable rubber duck? It was awesome to be in Hong Kong the same time as this wandering art installation from Dutch artist, Florentijn Hofman. This was the night I found out that I was accepted for an amazing opportunity in Hong Kong and that I would be leaving the wonderful City of Light. It was such mixed emotions for me as I was excited to go to Hong Kong, but I was so sad to leave Paris earlier than anticipated. I took this photo right before hopping on the Métro. It wasn’t until afterward that I realized that I had captured a picture perfect “stolen moment” of a couple in love. I feel like this picture captured the true essence of l’amour and my own love affair with Paris. I was glad to finally escape my room on Sunday and meet up with My Red Kitchen (MRK) for brunch. MRK and I first met in May at Bocado in Shanghai. I am so incredibly grateful for how small the world is and how there is an immediate bond with fellow bloggers. After meeting the manager at Bocado and giving him my blog business card, he introduced me to MRK who was sitting at the table next to me. A Parisian with a food blog who would be returning to Paris in June? It was a match made in heaven (by the French food gods). Eggs & Co. is a small restaurant that specializes in– you guessed it–eggs. I was surprised that brunch is a popular meal in Paris because everything tends to be closed on Sundays (in retrospect: I don’t know why I was surprised since the French enjoy having really long meals). MRK assured me that brunch had been popular in Paris for quite a few years. At 2pm, the restaurant was still packed with people waiting aside (definitely make reservations beforehand). It’s a tiny restaurant with seating upstairs and squished tables. Don’t expect a quiet meal. Everything is a set menu at Eggs & Co. so your meal will come with orange juice, tea or coffee, your main egg dish and then a giant pancake with fruit. The price range is around 25-30 euro. It’s a lot of food so come hungry. I ordered the Coco meurette, English muffins with poached eggs topped with mushroom, bacon and shallots in a red wine sauce. Oeufs en meurette is one of my all-time favorite dishes and I was SO happy because the dish did not disappoint. The sauce had been reduced perfectly; it was thick and incredibly flavorful. MRK ordered oeufs à la coque, which are soft-boiled eggs that are served with mouliettes (perfectly shaped breadsticks to dip into your egg). She asked me what the translation was for oeufs à la coque in English and I realized Americans don’t really have anything like it. Yes, we have soft-boiled eggs, but no one will go through the effort to cut and toast little sticks of bread for you. I don’t know why because it’s the best idea ever. The pancakes were served with maple syrup and a fruit salad. They were OK (too thick), but my expectations weren’t high since it’s Eggs & Co. and not Pancakes & Co.
Rodin worked on “The Gates of Hell” for 37 years, until he died in 1917.